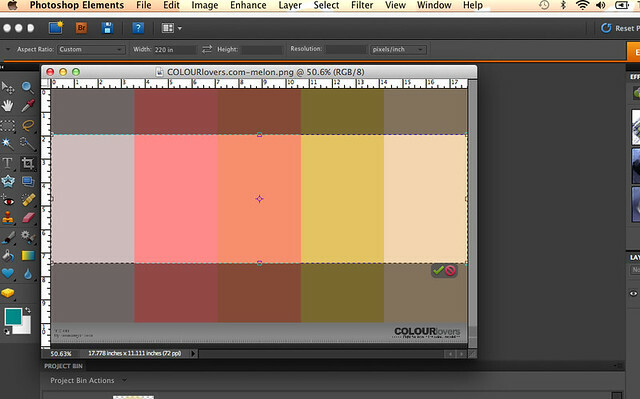 Last week we learned how to use a really cool site called Colour Lovers to make some neat color palettes. If you didn't see that post, check it here. Making color palettes is a fun past time, but a while ago I realized I just had a load of palettes that I wasn't doing any thing with! If you played around on the site, you may have realized that you can create patterns using your color palettes, but I like the look of those little paint strips & wanted to use the color palette itself for something. This got me thinking about blog improvement. Experiment with tall banners, small banners, wide banners, etc. See what you like. Add shapes & textures if you're fancy or keep it simple. Even crop it down to a square for your blog button! Making a few will also help you decide which color palette you'd like to use on your blog if you have a some you haven't really decided on. This will give you a jumping off point for customizing your blog through blogger. So start playing around on Colour Lovers & find some colors you'd like to adopt as your favorite! 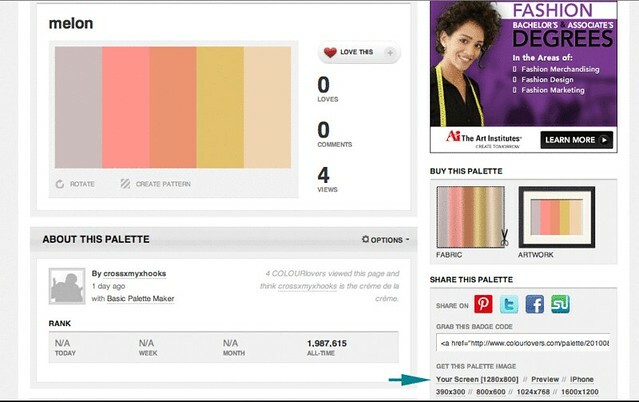 What would you do with your color palettes? oooh this is awesme, moe! This is great! I can't wait to try it! My blog is definitely not a beautiful one... considering I haven't really formatted anything. :( But this is definitely a good way to start! Thank you for sharing! Fascinating idea for building banners! I never would've thought to just clip out a color palette to use. Very simple yet very effective! Thank you for sharing this! I've been blogging for about a year right now, and I'm trying to figure out some things to take it to the next level. Your "Boost your blog" series is giving me some great ideas.